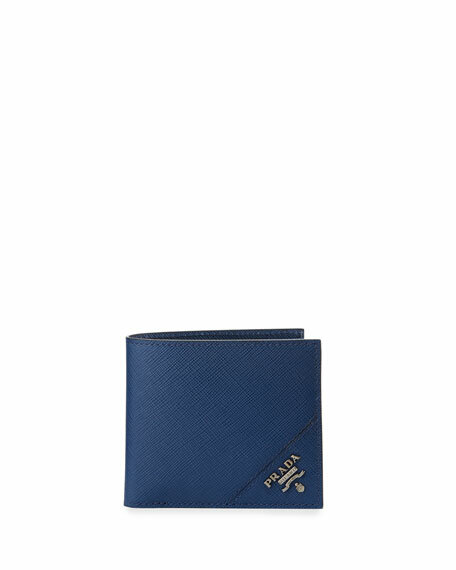 Prada men's saffiano leather wallet. Angled silvertone logo lettering at front. 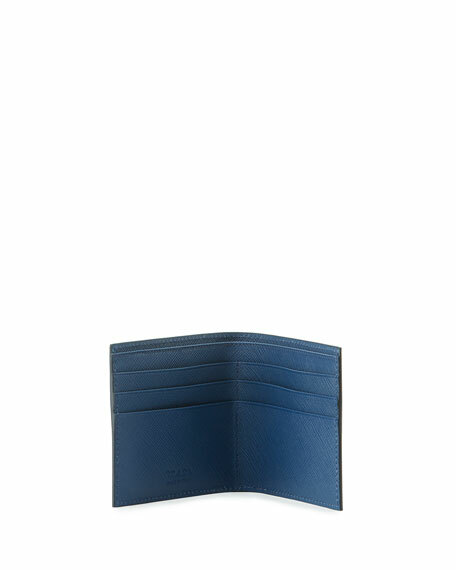 For in-store inquiries, use sku #1903388.